Marvel’s Agents of SHIELD explores the extent of Talbot’s recent infusion of powers as the threat to Earth becomes more urgent. 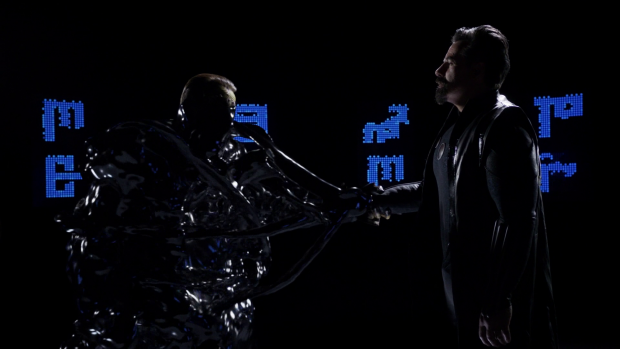 Last week saw Talbot become the Marvel Cinematic Universe version of Graviton. Before this the show had done a lot of good work establishing how dangerous using this substance was. Ruby was unable to handle the powers as well as the extra voices in her head when she was infused with a small percentage of the Gravitonium so it stands to reason that Talbot’s experience would be significantly multiplied. Talbot’s experience is definitely unique and progresses in a way that fits his character. His mental instability has been well documented over the course of the past few episodes and it comes into play in a big way here. It allows for an arc to progress more quickly than it otherwise should. 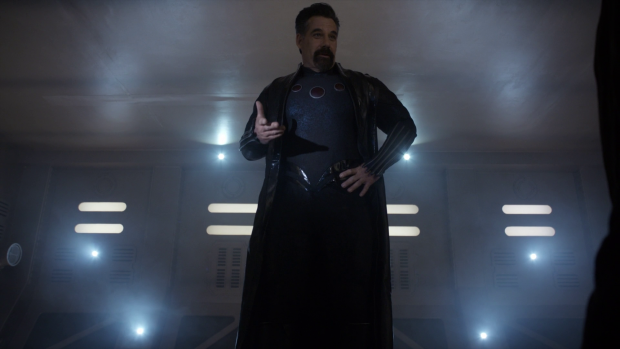 In the space of a single episode Talbot goes from basically heroic, to intimidating, to unpredictable and finally stopping at megalomaniacal supervillain at the end. It’s a quick transition but it works because Adrian Pasdar is able to sell the transition while the writing is strong enough to keep Talbot’s fragile mental state in play so that his arc makes sense. The voices of Dr. Franklin Hall and Ian Quinn are dismissed early on when Talbot points out that they needed a General to keep them in line. It’s absolutely not accurate but the fact that Talbot believes that early on says a lot about how he sees himself. He’s proud of his Military service and sees everything he has experienced as a result of the service he’s given to his country as preparation for this moment. Talbot takes it upon himself to speak for the entire planet because he feels that he has earned that right and is even arrogant enough to think that he’s one of the two best Military minds Earth has to offer with the other being Coulson. This establishes how delusional Talbot is as Coulson may be many things but a “Military mind” definitely isn’t one of them. He’s definitely a spy but his military experience is fairly limited so Talbot’s thinking is misguided at this point. Early on in the episode is about establishing dominance. 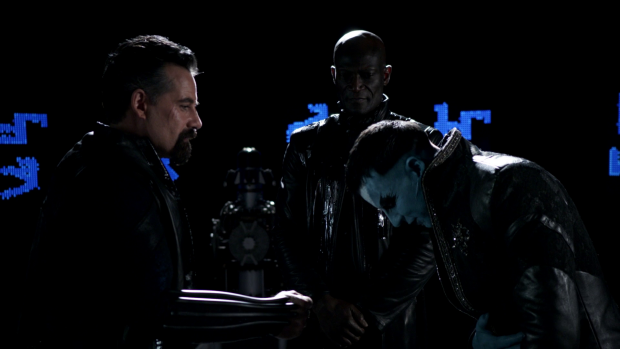 Talbot has the power to force Qovas and his crew to back down because they know what Gravitonium is capable of and don’t need many demonstrations of what Talbot is willing to do to them. It does feel like they back down a little too easily but their recognition of how powerful and unstable Talbot is makes this somewhat workable as justification for their surrender. This early victory is an important step in Talbot’s arc as he starts to believe that his abilities mean that he can achieve anything. In essence he starts to believe his own hype and his arrogant nature starts to take over. Talbot’s transition to being dangerously insane is a rapid one as I mentioned above but the beauty of it is that it does come from who he is as a character. In effect this is pay-off on everything we have seen from this character since his introduction way back in season 1. Arrogance has always been something that can be associated with him and the paranoia he exhibits here has been seen on more than one occasion. The Gravitonium basically amplifies his worst qualities and uses those as the driving force for his personal narrative. It’s a little bit of a conceit but at least Talbot doesn’t feel like a completely different person as a result. Everything he does feels in character even if that character has been confused and it really helps carry the episode because it does feel in line with what we know about him. It doesn’t take long before he declares that Qovas’ ship is now his ship and starts demanding an audience with the Confederacy. Qovas to his credit handles the situation well enough by refusing to alter the facts to something that might sound more palatable to the super powered madman holding him hostage. The fact of the matter is that the Confederacy don’t hold much stock in Humanity and would only consider dealing with H.Y.D.R.A. after a long period of negotiations. Coulson points out that H.Y.D.R.A. never spoke for the entire planet but then again neither do Talbot and Coulson so the same problem exists. Talbot’s powers are what gets him through the door because the Confederacy want Gravitonium and he’s the living embodiment of that. Talbot’s meeting with representatives of the Confederacy is revealing in many different ways. Being in the room isn’t enough to net him any respect so a show of force is required in order to prove how serious a player Talbot is especially in the context of Galactic Politics. Kasius’ father Taryan (Craig Parker) has his long overdue introduction here and immediately comes across as someone who manipulates situations to suit his needs. When Talbot asks who’s in charge he senses the direction that this is heading and throws Crixon (Gabriel Hogan) into the firing line. Why he does this isn’t clear but it isn’t difficult to assume that Taryan is motivated by self interest to get rid of Crixon. It’s an effective moment with Crixon’s reaction telling everything that the audience needs to know about Taryan’s suggestion. There’s a glimmer of understanding on Crixon’s face indicating that he was expecting something like this from Taryan. Crixon ends up being absorbed by the Gravitonium adding another voice to Talbot’s muddled consciousness while proving to the Confederacy that he is as powerful as he says he is. After this point Talbot completes his arc and turns on Coulson after being easily manipulated by Taryan who essentially strokes his ego by telling him everything he wants to hear and presenting a scenario where Talbot can be the Hero that saves the planet. Once again the Gravitonium amplifies his worse qualities with Taryan clearly being an adept judge of character who is able to exploit this psychological weakness. 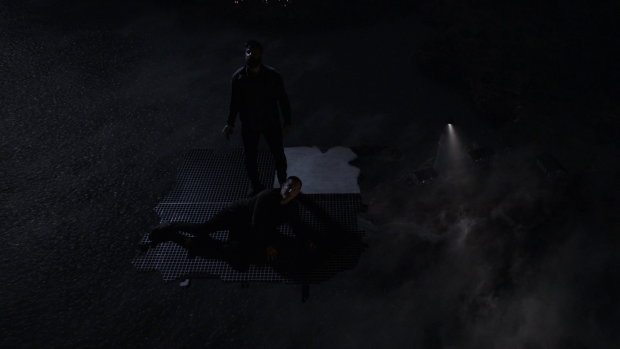 Talbot clearly buys into the hype and things that Taryan is someone he can trust despite Coulson’s strong protest that he is the enemy backed up by his knowledge of the future. It’s too late to reason with Talbot at this point because he has been so consumed by his own arrogance that he believes that all other opinions are moot. 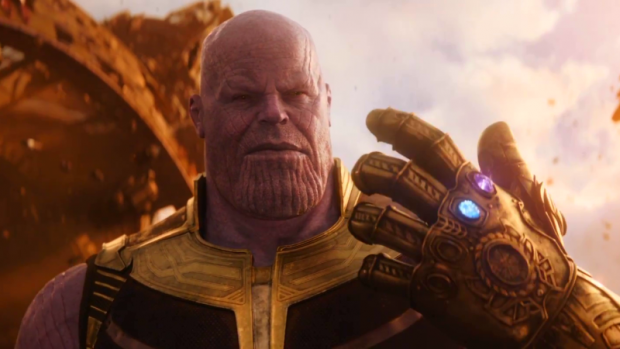 Talbot’s discussion with the Confederacy brings another connection to the events of Avengers: Infinity War when it is mentioned that Thanos has started his attack on Earth. Talbot immediately wants to get down there and use his powers to help the Avengers but he is told that he isn’t powerful enough to stand a chance against Thanos. After this he is convinced into looking out the other Gravitonium deposits on Earth in order to increase his powers to the level of practical invincibility. He is manipulated into thinking that this is the only way to save the Earth from Thanos and his own delusional mind easily lets him believe this. As plot points go this both works and doesn’t. Establishing an unseen alien threat as a motivating factor for Talbot to desire more power is absolutely fine and makes sense in the context of what the episode is trying to do. The unfortunate truth of this is that this won’t actually go anywhere because Talbot will never actually face Thanos so things are being mentioned that can never pay off which makes Thanos an empty reference. Of course, Marvel’s Agents of SHIELD is a part of the Marvel Cinematic Universe so making reference to events that are going on at the same time is expected and arguably encouraged. 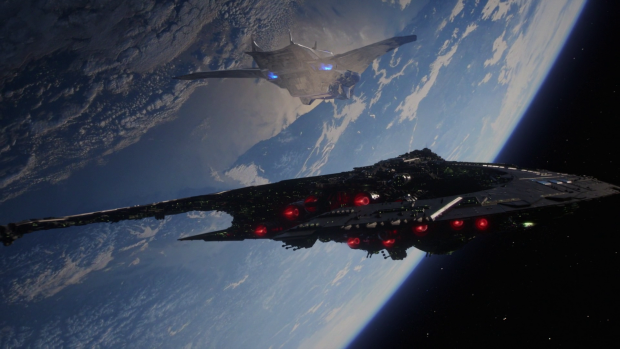 The present day timeline has been aligned with the events of Avengers: Infinity War so that Earth isn’t facing multiple alien invasions at the same time. That’s smart and connected storytelling but there are other problems the show may have if it’s committed to match up with the events of Avengers: Infinity War. To say what those problems are would be a significant spoiler for the film so I won’t put them here but I’ll put a spoiler alert after the rating and discuss them there. Regardless of what is happening elsewhere in the Marvel Cinematic Universe this episode is about Talbot becoming drunk with power and it has severe consequences that start to manifest here. One of those is the death of Hale who suffers a really horrifying demise as she is casually collapsed in on herself. This comes after she is shown to be a woman in pain after the death of Ruby. She outlines her regrets and even a good amount of animosity that H.Y.D.R.A. took away her right to pursue her dream of being an astronaut. At the end of her life she takes stock of her mistakes and goes out as a tragic figure who made a series of missteps leading her to her really bad end. Another problem is that Daisy’s powers have pretty much no effect on Talbot which establishes his bravado to be somewhat justified. He truly believes that he is the most powerful being on Earth and so far there isn’t a lot of evidence to the contrary so I wonder what it will take to bring him down. He’s certainly the most formidable foe the team have faced in terms of raw power but he’s also a former ally who has been corrupted by an unfathomable power boost. This makes for compelling drama and allows the show to accelerate the development of a season ending antagonist with only two episodes to go without it appearing rushed. Back on Earth there are still internal problems with the team struggling to stay on the same page. This escalates to the point that Daisy and Elena come to blows because Elena blames the recent deaths during the alien attack on Daisy not being there. It’s true that her powers would have come in handy though it’s not certain that events would have played out differently had she been around. Part of the problem is that the team aren’t working as a cohesive unit at this point and Elena is a large part of that because she is making rogue decisions. I suspect that her overreaction upon Daisy’s return is as much motivated by the guilt and regret she feels as a result of her actions. No matter what motivates blaming Daisy for everything bad that has happened recently it’s clear that this infighting is a waste of time and distracts everyone from the real issue. Admittedly Daisy probably shouldn’t have taken the bait but she had just exhumed her dead mother’s corpse so her emotional state might not be the most stable. More internal friction is shown in the argument between Fitz and Mack. This one is a lot more reasonable as neither side of it is factually correct as the whole discussion comes from how both characters see the world which forms the basis for the difference of opinion. Mack’s sense of right and wrong is very black and white because that’s the sort of guy he is so he sees Fitz’ shades of grey approach as a misguided way to justify morally questionable actions. He falls back on this mindset because it’s easier than admitting that the “right” course of action isn’t always easy to identify. Mack tells Fitz that he needs to revisit the sort of man he wants to be and seriously reconsider his beliefs before he becomes completely corrupted by constantly feeling the need to make the tough call. Fitz’ position on this is also easy to understand as this season has proven that black and white morality rarely exists so the simplicity of right and wrong that Mack holds himself to is misguided as far as Fitz sees it. Fitz has shown willingness to make the tough calls when he feels it is necessary though the progression of that way of thinking is dangerous. Making difficult morally questionable decisions gets easier each time you do it because the “greater good” becomes the justification and the end result of becoming comfortable with that is arguably how Fitz was in the Framework. Mack doesn’t want to see that happen to his friend so the discussion acts as a warning but the answer isn’t an easy one and it’s likely that there will be lasting consequences to Fitz’ behaviour in the back half of the season. On a lighter note we have the discussion between Daisy and Deke that amusingly begins with Daisy discovering lemons on her bed as the established declaration of affection in the future. Deke is all set to tell Daisy how he feels but the conversation is about him realising that she isn’t emotionally ready to move on. Unfortunately this brings up her relationship with Lincoln as justification for that when the show never did a good job with that but the overriding point makes sense. Daisy is convinced that she’s a bad omen considering all of her previous relationships. Deke shows himself to be a decent guy by deciding not to overcomplicate that by adding his feelings for her to the mix. Another excellent episode that raises the tension, furthers the main plot and delivers really engaging characterisation. Talbot’s transition from idealism to megalomania feels natural enough when his mental state is factored into the equation and is entirely sold by Adrian Pasdar’s effortless performance. His delusional nature is well established and the episode goes down the route of establishing that the Gravitonium is amplifying his more negative qualities to the point that he believes that he is doing the right thing. The introduction of other members of the Confederacy and the way Kasius’ father Taryan manipulates him by stroking his ego all feeds into this. Some of this does bring in the events of Avengers: Infinity War which doesn’t quite work as it’s clear that it will be an empty reference with no pay-off. Using a long established character as the season antagonist is a good idea as it allows the late introduction to not feel rushed. Even Hale is killed off to make room for Talbot and makes her exit as a tragic figure who failed to have the life she wanted because H.Y.D.R.A. took it away from her. The team on Earth are still struggling to be a cohesive unit in different ways. Elena and Daisy coming to blows sort of works if you consider it to be an escalation of Elena’s guilt over killing Ruby. It’s certainly a waste of time but Elena trying to shift the guilt and blame to someone else is a natural reaction. 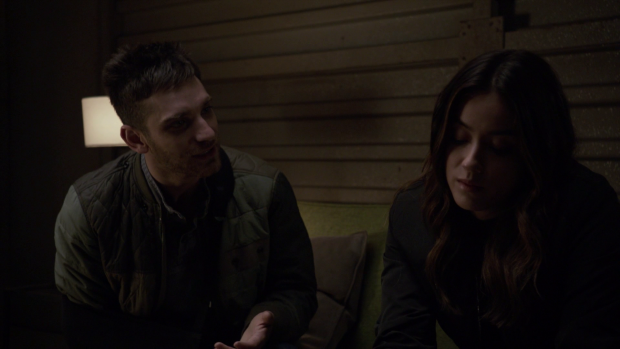 Daisy’s conversation with Deke is really endearing though dredges up memories of her problematically developed relationship with Lincoln. The fact that Daisy feels morbid about her own love life allows Deke’s sense of decency to come through as he opts not to pursue a relationship with her when it becomes clear that she’s not emotionally ready to move on. Mack and Fitz’ discussion is really interesting because it highlights different points of views where the is no right answer. Fitz believes in making the hard decisions where Mack sees morality as being more black and white and uses that mindset to warn Fitz against becoming that dark version of himself that we saw in the framework. The discussion has no resolution because there isn’t one but the changing nature of this friendship is both fascinating and tragic. The following segment contains spoilers for Avengers: Infinity War. If you haven’t seen the film then don’t read on. I mentioned above that this episode references Thanos’ attack on Earth during the events of the recent cinematic release Avengers: Infinity War. This raises a number of problems; one of which being that referencing Thanos will never pay off in this show because he won’t be seen but there are other issues. The reference last week got me thinking about how the film could affect this show. Avengers: Infinity War ended with Thanos snapping his fingers and wiping out half the universe after gaining possession of all 6 Infinity Stones. Naturally this has wide reaching consequences in the film as some fan favourite characters simply wink out of existence. It seems likely that much of that will be undone but not for another year when the as yet untitled Avengers 4 comes out. One question on my mind is if the finale will see some of the cast turn to dust inexplicably. Considering the references so far I would say that this seems likely but will it be effective? It’s probably safe to assume that everyone watching this show also watches the films but it doesn’t alter the fact that it’s a plot point that comes out of nowhere in context of the season. I don’t personally have a problem with that as a shared cinematic universe should come with some reward for those who watch the whole thing. As a plot twist it could also be really interesting especially if this show gets renewed for another season as we could see what the world is like now that half of the population is gone. Losing half of the cast of this show will be less than ideal as well but it’s conceivable that they could all be lucky enough to be spared with only a collection of extras biting the dust or maybe other minor characters. We also might get to see the moving disintegration of either Fitz or Simmons in the arms of the other one. Either way I think there will be answers sooner rather than later and it will mark the second time that Marvel’s Agents of SHIELD has spoiled the big twist of a major Marvel cinematic release.